Published today! 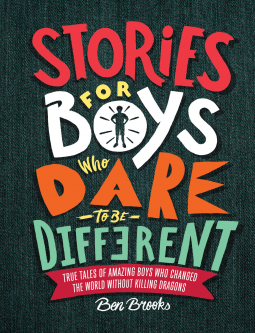 Stories for Boys who Dare to be Different – Joyce's mystery and fiction book reviews with some non-fiction too! This is a truly wonderful book with engaging illustrations. The author presents brief biographies of men who have done just about anything that you can imagine. From Confucious to Louis Braille, from Daniel Anthony (father of Susan B) to David Attenborough, from Patch Adams to Galileo and more, the list of boys who became men that followed their dreams goes on and on. There are men you have already heard of and men that you will be so pleased to meet. This is genuinely a book that tells young boys that they can do anything they set their minds and hearts to. While this book is written for boys, I believe that girls and adults of all persuasions will relish this testimony to what the human spirit can achieve. Thanks for this book NetGalley. It is sooo good.